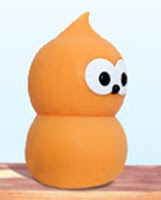 With desperately-orchestrated DTel articles like this and this and this reaching a crescendo, we know the wind is not blowing EDF's way on the 'negotiations' over the strike-price they'd like from us - and the guarantees, and the caps on clean-up costs, and all the other concessions on their secretive shopping-list. "Britain's energy security will be put at risk and future generations left to suffer with higher bills if ministers fail to agree a deal with EDF Energy"
"With the possible exception of the defence of the realm, it is hard to think of an issue more critical to any government than ensuring the future of the nation’s energy supply"
"Hitachi is increasingly reluctant to build Britain's next wave of nuclear reactors and may pull out of its deal with the Government unless terms are improved, with devastating effects on UK energy policy"
Yes, the bright orange turd is in trouble. "The range of options available means that new nuclear is not essential. It may be desirable as part of a diverse mix but not at any price. If Centrica can walk away so can the UK taxpayer. The important clarity emerging from the last few weeks is that the government has understood that there is no need to rush. New nuclear could not come onstream before 2020 at the earliest and therefore cannot assist with the medium term challenge. The overall approach is to be business like and pragmatic." The timely arrival of the longest winter in living memory has allowed the coalition to tip-toe away from its greenie commitments. Thank you, Mother Nature. Meanwhile the coagulation shuts down coal fired plant due to the LCPD and we are still in deep sh*t.
Fine, tell EDF to 'jog off' but we need to go big into nuclear preferably - Thorium [as the Chinese are doing]. Short term is vital immediately build new coal plant [or desist from closing the old uns] for vital baseload electrical power. Crikey - no base load - we're still ***ked and rolling blackouts, worse - unplanned outages [which could last for days/weeks] are still coming, as soon as next year. No point in stocking up the freezer then. "big into nuclear preferably - Thorium [as the Chinese are doing]"
As you can see, this is not going to solve anyone's power problems in the next 25 years, at least. No-one mentions the Bristol boat lake - 5-10% of UK electricity needs in one go - and being tidal, is fairly reliable. I had this discussion with my family over Easter. They were resigned to stumping up for the new nukes and I noted that even if we bunged EDF a few bill tomorrow we'd have no new capacity for ten years. Ahh. They hadn't really thought of that. Then I added in shale gas and suggested that the prevailing cost of generating electricity might have collapsed by the time the new nukes came online. I think I detected a slight dropping of the proverbial penny. I pointed out that there is a reason that the last new station was completed twenty years ago: once everyone found out how damned expensive the stuff is it kind of lost support. I said: "Short term is vital immediately build new coal plant [or desist from closing the old uns] for vital baseload electrical power." Does not compute! They have a 20 year R&D programme to build:"
There is a perfectly viable blue print for a Thorium Salt reactor - one was commissioned and built in the 60's in the USA - it can't be beyond the ken of mankind to speed up/update/rejig these plans - I'd say 5-10 years for a major operating plant which is safe and it does not cost the earth and half life of 8-15 years for waste products - I'D SAY, THORIUM IS, CAN BE VIABLE. Get with the comment and go and compute that. And that's the good news? "Well, Cap'n I've got some bad news and some good news. The bad news is that all the lifeboats have got ruddy great holes in the bottom. The good news is that if we sink, we'll go down so rudyy fast there won't be a chance to use 'em." "I'D SAY, THORIUM IS, CAN BE VIABLE." There is a huge difference between creating a lab demonstrator and creating an economically viable generator which can compete with simply throwing some combustible material into a big bucket and setting fire to it - which is how a coal/oil/gas fired generator works. as one of the great topics that will attract all persons is like this topics. so when i enter to this blog is more great because this is a way that will inform us to what is good. by reading more articles we will be knowledgeable to be open minded. Maybe Thorium will come on stream at about the same time as fusion? It's very exciting and excruciatingly boring at the same time. Nobody is allowed to have a sensible discussion of our current options (see what I did there?!) without it being swamped with ridiculous hypotheticals. we can follow this ideas of this article. i read this article is very interesting. i like it so much and i find those information very nice. we as reader we need like this article that will provides us with an interesting information that can helps us in our life. I'd suggest this deal falling through could be good for EDF(nuclear) in the long run. It is hard to see that the EPR design can ever get to a decent/efficient volume of builds. Cutting a UK deal would just keep the EPR life support running for another decade. "Machenaud said that the development of a wider range of next-generation reactors would help to reverse a situation in which the world's biggest builder of reactors "has paradoxically lost in the nuclear area our dominant position in terms of design and construction". There would follow a period of reflection on the best way to proceed to improve on the EPR ... to lower its price and integrate post-Fukushima safety measures, he said." I'm with Anon 12:33 on the potential for Thorium nuclear reactors. The negativity and defeatism of some commenters is a sight to behold. Rwendland said: "2015: a 2MW research reactor (about 1 wind turbine'w worth of power)"
Rubbish - a GE 2.5MW has a cut in speed of 3.5m/s and cut out 25m/s so can only operate in moderate to high winds; this is confirmed by the utilisation of around 20% on shore. It needs a min of 14m/s to produce the 2.5MW in any case. Moreover a research reactor would not be there to produce power, but information, so your comparison is in bad faith. Yep Budgie, you caught me there. I was being flippant, and as you say research reactors rarely produce any power. I've hunted around for a decent reference, and the best I could find is pretty unclear if the following 10 MW demonstrator and 100 MW pilot reactors actually generate any power either (or if the stated MW is thermal or electric). But the main point stands, China is doing R&D with a planned programme of 4 reactors. If that all goes well, and the spent fuel analysis looks good, we might then get a trial power reactor of maybe 500 MWe built. I doubt we would be in a position for the commercial building of multiple reactors in under 25 years. je pense que trouver des articles comme celui ci est très utile pour le développement continu des informations et des multiples raisonnement sans égales qui ouvrent le porte vers de nouvel horizon il ne faut ^pas rater des occasions comme celui ci.
""" "The range of options available means that new nuclear is not essential. It may be desirable as part of a diverse mix but not at any price. If Centrica can walk away so can the UK taxpayer. The important clarity emerging from the last few weeks is that the government has understood that there is no need to rush. New nuclear could not come onstream before 2020 at the earliest and therefore cannot assist with the medium term challenge. The overall approach is to be business like and pragmatic.""""" i like so much this ideas on the fact that i enjoy reading it "" "The range of options available means that new nuclear is not essential. It may be desirable as part of a diverse mix but not at any price. If Centrica can walk away so can the UK taxpayer. The important clarity emerging from the last few weeks is that the government has understood that there is no need to rush. New nuclear could not come onstream before 2020 at the earliest and therefore cannot assist with the medium term challenge. The overall approach is to be business like and pragmatic."""